From the Iwaya Caves carved by aeons of tidal erosion, to the romantic spiritual site of Ryuren no Kane (The Bell of the Dragon's Love), there are many attractions to see on Enoshima. Carved by aeons of tidal erosion, the Iwaya Caves consist of two caves which are 152 meters and 56 meters deep respectively. These caves have long been the subject of religious faith, and during the Edo Period, many worshippers gathered here as a sacred site of the Benzaiten faith. Today, the caves are a popular tourist spot. From the exhibits on display here, visitors can get a sense of how Enoshima's history and culture have developed over the centuries. The caves are divided into Cave 1 and Cave 2, with Cave 1 being further divided into Left-hand Side and Right-hand Side. 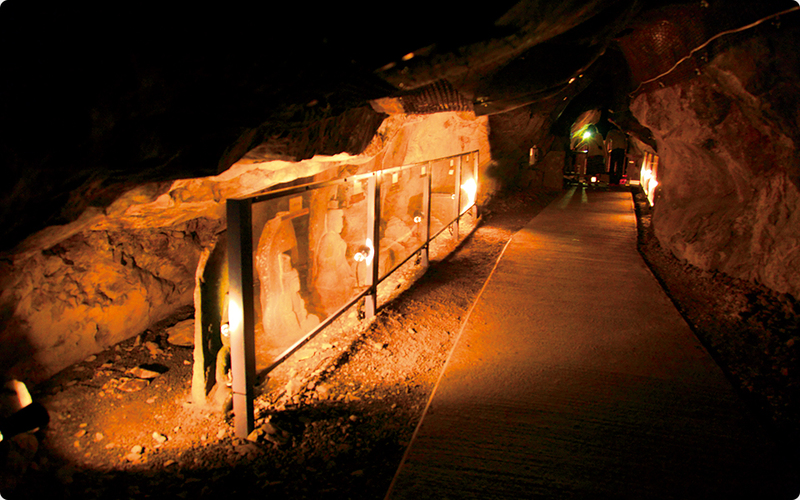 Some say that the deepest point of the left-hand cave leads to the "Narusawa Ice Cave" on Mt. Fuji. At the back of the right-hand cave is the birthplace of Enoshima Shrine. It is said that in the past, during a visit to the caves, Benzaiten appeared to the Buddhist monk Kobo Daishi (also known as Kukai), and that also Minamoto no Yoritomo came here to pray for victory in battle. 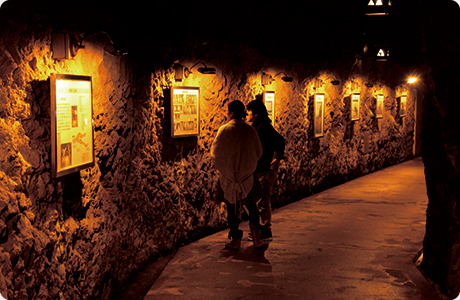 Today, the caves are known as the number one spiritual site on Enoshima. Donated by pilgrims, the stone statues on display inside the caves are now considered important parts of Enoshima's historical and ethnological cultural heritage. In honor of "The Legend of the Goddess and the 5-Headed Dragon" introduced on the "About Fujisawa" page, this bell was built in 1996. It is said that couples who ring the bell, and then attach a padlock bearing their names to the nearby wire fence, will enjoy eternal love. 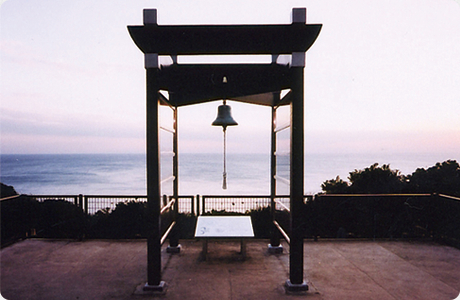 The bell has also been used as a filming location for movies. This is a pleasure boat running from the foot of Bentenbashi Bridge to the Chigogafuchi Abyss. 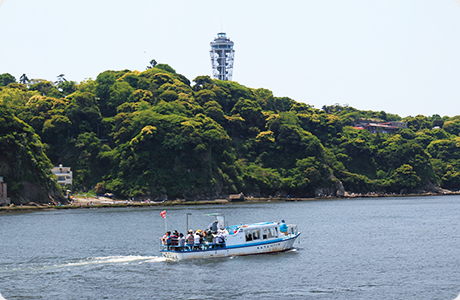 During the 10 minute ocean cruise, passengers can get great views of Enoshima, and on clear days, Mt. Fuji. The boat is convenient for visitors heading to Enoshima Iwaya. Departures are irregular, and so visitors are asked to confirm departure times on the day.